SUNY New Paltz alumna Jessica Faieta ’85 (Economics/Business Administration) will share insights from her career with the United Nations as the speaker for the 2017 Undergraduate Commencement Ceremony for students from the College of Liberal Arts & Sciences on Saturday, May 20, on the Old Main Quad. Faieta was appointed UN assistant secretary-general for Latin America and the Caribbean in 2014. She also serves as the regional director for the UN Development Programme, leading the effort to bring sustainable development to communities afflicted by poverty and inequality. 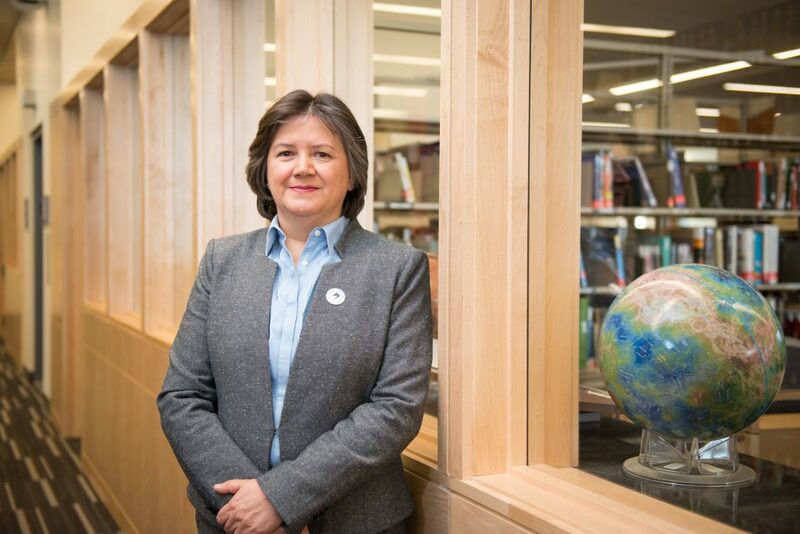 During a busy and productive career spanning more than 25 years, Faieta has lived in 10 countries and witnessed first-hand the effects of extreme poverty, natural disasters and conflict, as well as the profound potential of humanitarian and development efforts to help societies grow. In recent years, Faieta has spent more time bringing stories and lessons learned back to current students at New Paltz. She offered a keynote address at the College’s 2016 Women’s Leadership Career Summit in 2016, and got “in the weeds” of her work in international development at a February 2017 lecture organized by the Economics Department. In addition to completing programs in economics and business, Faieta is also a graduate of SUNY New Paltz’s ESL program, a precursor to the Haggerty English Learning Pathways Program (HELP). HELP is a recognized leader in the SUNY system for helping international students develop the language skills they need to thrive in U.S. higher education. SUNY New Paltz is debuting a new Undergraduate Commencement structure this year, with two ceremonies slated for Saturday, May 20 (Liberal Arts & Sciences), and Sunday, May 21 (Business, Education, Fine & Performing Arts, Science & Engineering). To learn more, please visit us online.